Celebrating Over 35 Years of Service - The Leader of The Pack Since 1982 We Sell the Best and Service the Rest! 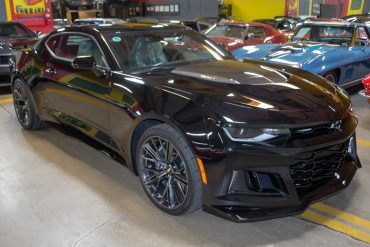 2017 Mosaic Black ZL-1 with only 123 miles! '67 L71 Rally Red with Red interior. Very rare!! 1966 Milano Maroon L72 Coupe. 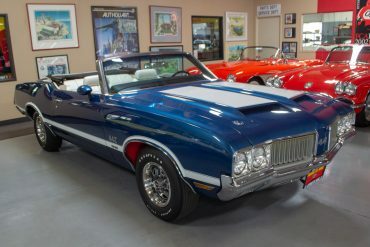 Very rare 442 W30 Convertible! 2001 Torch Red Corvette Coupe. Rare Magnesium wheels. 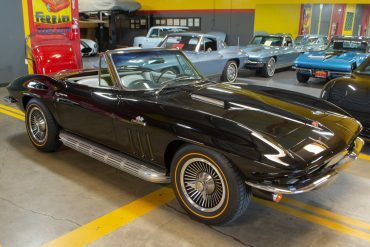 Corvette Mike is the place for quality, classic, used Corvettes and classic muscle cars! From the classic 1953 Vette— right up to today’s streamlined models — Corvette Mike has a showroom full of Corvettes for you to choose from. You name the era, you can bet Corvette Mike has a Corvette for you. Looking for a classic or collector car? Check out our Classic Cars for Sale. And if we don’t have it, Mike will find it! 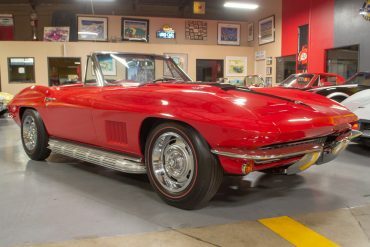 Corvette Mike also purchases Corvettes, classic cars and car collections. Let us know what you’ve got! CORVETTES WANTED! Let our nationally recognized Corvette Service department keep your Corvette in top condition. Whether you need a minor tune-up or extensive repair, the job will be done right. Guaranteed! Corvette Mike’s Parts and Accessories Department is fully staffed with knowledgeable professionals that can assist you with your Chevrolet Corvette parts needs. 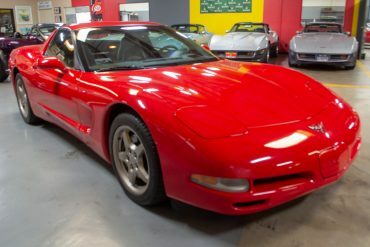 Quality Used Corvettes and Classic Cars for Sale at Corvette Mike. Corvette Mike has been a leading used Corvette and classic car dealership for over thirty years. Corvette Mike Vietro is one of the nation’s most quoted Corvette authorities and is a much sought-after speaker. He has been featured in more than 20 magazines and newspaper articles, including Road & Track, Autoweek, Motor Trend, Primedia’s Vette and Corvette Fever, as well as several Corvette videos, such as Speedvision’s Classics network and Meguire’s broadcast network. He has been on television, radio and in print interviews for over 20 years. Every June in Bloomington, Illinois, Mike Vietro instructs the advanced “How to buy a Corvette” and he sits on the “Future of Hobby” panel. Visit our Online Showroom to view our current inventory of Corvettes and Classic Cars. Mike fell in love with Corvettes as a teenager while pumping gas in the Boston suburb of Everett, Massachusetts and knew someday he would be heavily involved with them. He also felt a great desire to serve the country he loved, so in 1976 he enlisted in the Marines. After retiring from the Marines in 1980 as a Staff Sargent E6, he settled in Southern California to start the next phase of his life. Mike remains very proud of his Boston hometown roots. Visit his web site Born and Bred Bad in Boston for a unique look into his personal life. 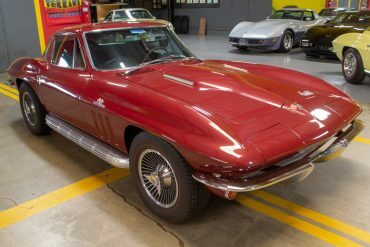 Corvette Mike is headquartered in Anaheim, California, just outside of Los Angeles in the Southern California area of Orange County, but we sell used Vettes and classic cars to clients all over the world. Visit our Used Corvette and Classic Car Sales Showroom today! Corvette Mike is your leading source for used Corvettes for Sale.